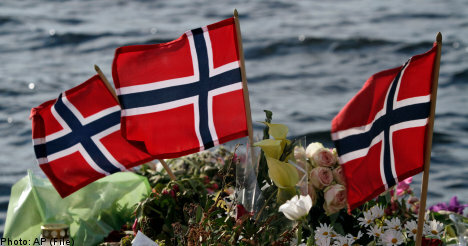 Mass killer Anders Behring Breivik has been declared sane by five Norwegian judges. A smile flitted across Breivik's face as a judge outlined his sentence: 21 years with a minimum term of 10. However, the period of 445 days that he has spent in custody is to be subtracted from this total. Although he has technically been declared sane, everyone must hope that his alleged international terror network - a 'revived' Knights Templar - is nothing more than fantasy. The length of his sentence means that for each life taken, he will serve less than four months, which seems a paltry penalty for a crime of this magnitude. Breivik, no matter what his protestations, is as much a product of Islamism as the violent Islamists themselves, his vile vision of a theocratic Europe being a mirror image of a revived Caliphate. His crimes have done more to discredit genuine rational and peaceful opposition to Islamism across Europe than the combined efforts of the continent's multiculturalists for whom he bore such a murderous hatred. Putting politics aside, no matter what the court could have concluded, no sentence would have been able to deliver real justice for the families of the deceased, and those who remain alive yet physically and mentally scarred by his attacks. Breivik has secured a place in history not as a defender of European Civilisation and values, but as a warped product of the Islamist ideals he professes to detest. I would like to make a couple of comment that might be relevant. I read Norwegian quiet well and I have been following the case in the Norwegian papers. My own opinion is that they had to find him sane otherwise there whole case that he is the product of right wing conspiracy would fall apart. The powers that be in Norway cynically to put it mildly used the case to bash certain individuals that he mentioned in that disgusting fantasy testament that he wrote. Fjordman I know personally and too my knowledge is not now living in Norway. If he had been found insane and too put it mildly who isn't insane to kill 77 people mainly children in cold blood, the whole case would have fallen apart. They don't want a reason they want an excuse to carry on with there utopian fantasy. The whole case was disgusting and I feel sorry for the parents of those kid who had to go through the whole process again of learning in gruesome detail how there children were kill in cold blood and had to start the mourning process all over again. A finding of insanity would have stopped such thinking. A point that has also gone unnoticed is the fact that his case will come up for review in 21 years that will scratch the scab off the wound think Hindley and Brady under Norwegian law if you are insane you go into a secure locked ward and they forget where they put the key. No court room farce in 21 years with idiotic do gooders fighting his corner. The best solution would have cause have been if one of those policemen who went too the island had put a bullet through his brain, unfortunately in this crazy world the policeman would have most likely have ended up in court for abusing Breivik's human right or some such crap. Unfortunately Durotigan the only power that successfully got rid of the Islamic threat in there own country was catholic Spain and they did it by by becoming even more fanatical than the Muslims mass murder conversion under pain of death and finally ethnic cleansing. You make a good point about the decision to declare Breivik sane YM. Quite clearly, he is not by any common definition of a balanced frame of mind. The Breivik case is, as I predicted last year, being used by the pro-mass immigration and multiculturalist lobbies as a means of demonising opponents of their favoured policies through insinuating non-existent links and sympathies between our position and that of Breivik. They attempt to blacken our reputations through claiming that we possess an affinity with the violent sociopath when we in fact find him and his actions as abhorrent as any other civilised person, irrespective of their political persuasion. YorkshireMiner is correct about Spain. The Crusades were a re-pivoting of christianity in order to stop the relentless march of islam (when you think of it, it is amazing that we know anything about the Crusades, when so much of our history from that time is forgotten). And the Inquisition was a response to hundreds of years of brutalisation by muslims - the christians were clear they wanted to remove all trace of islam. And even the slave trade was something that christians learned from muslims; it is no co-incidence that the atlantic slave trade should have begun in Iberia, the place where christianity had been contaminated by islamisation for hundreds of years. The introduction of muslims into the whole of europe makes no sense in the context of the EEC. The EEC was to be a free-market in goods and services. Workers were expected to move round, but instead countries just kept importing muslims. They didn't import buddhists, or hindus, or taoists; but muslims. It is as if they planned on introducing something so alien and unassimilable, that it would lead to the (relative) destruction of cultural differences between nations. But such a social experiment can have a huge death toll - it is like manufacturing sectarianism. Well, the British electorate were told that they were signing up to an economic union, but the architects of the EU had from the outset the goal of "ever closer economic and political union". Many European countries now share the problem of large incompatible Muslim minorities, and quite how we tackle the issues that this fact throws up will have to be decided individually by each of the nations concerned. there is a growing belief that he was/is the tool of left wing extremists as the left are the only possible benefactors of breiviks act. its something that i have always believed. My opinion is that he was a "lone wolf" sociopathic fantasist. I quite agree YM. Thanks for the video link. I'll take a look.